Calcium Chloride, CaCl2, chemical compound that is crystalline, lumpy, or flaky, is usually white, and is very soluble in water. 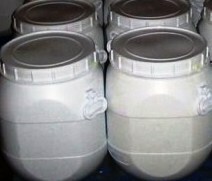 A white deliquescent compound, Calcium Chloride, CaCl2, which is soluble in water; m.p. 782°C. 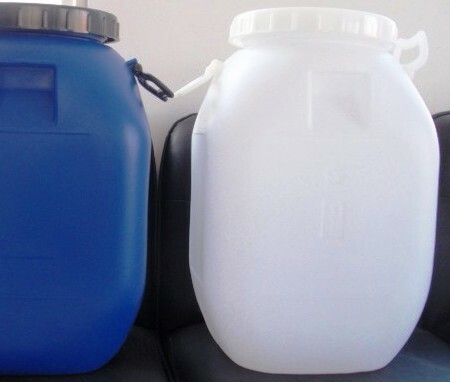 There are a number of hydrated forms, including the monohydrate, CaCl2.H2O, the dihydrate, CaCl2.2H2O (r.d. 0.84), and the hexahydrate, CaCl2.6H2O. The hexahydrate loses 4H2O at >30°C and the remaining 2H2O at 200°C). Large quantities of it are formed as a byproduct of the Solvays Process or other manufacturing activities and it can be prepared by dissolving calcium carbonate or calcium oxide in hydrochloric acid. Calcium Chloride, CaCl2, is hygroscopic; it rapidly absorbs water and is used to dry gases by passing them through it. Calcium chloride is commercially available usually as the dihydrate, CaCl2·2H2O; it is used to melt ice on roads, to control dust, in brines for refrigeration, and as a preservative in foods. It is also used in the monohydrate and hexahydrate forms. The most potent is the Calcium Chloride Anhydrous and it is offered as lumps or powder. Calcium Chloride, CaCl2, users for desiccation purpose must understand the basic usability and potency of Calcium Chloride. Calcium Chloride's water absorbing Potency is very high at 75% to 80% assay. Theoretically, Calcium Chloride can be used for water absorbing up to 50% assay. However practically Calcium Chloride can be used for water absorbing up to 55-60% assay. For obvious reasons Calcium Chloride Anhydrous is the only grade of Calcium Chloride that may be used for desiccation purpose. Not many users understand this and wrongly compare the prices of Calcium Chloride fused with that of Calcium Chloride Anhydrous on pro-rata basis. Reliability of the vendor is also important as sampling and analysis of Calcium Chloride may give false alarms. 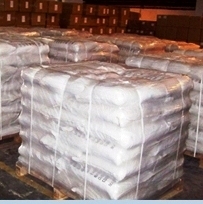 Calcium Chloride Anhydrous CaCl2 is offered as Solid lumps Powder Granules Tablets for various uses like Desiccation, Diesel Drying, Gas Drying etc. It is extensively used in oil well drilling, fracturing or fracking. We also offer Calcium Chloride USP BP Ph Eur FCC Food Grade from a world class FDA approved, ISO-9001-2008, ISO-22000-2005 HACCP Certified facility with Kosher & Halal approval..